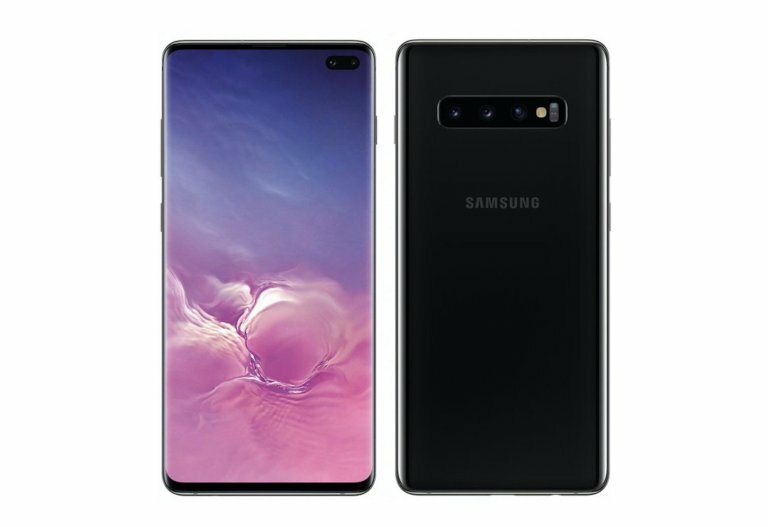 There are a few days left before the release date with the launch event of Samsung Galaxy S10, and many people are looking for everything they should know. As a result, in this post, we have already collected all the latest news, pricing info, rumors and facts related to the Galaxy S10 for buyers. The Galaxy S9 and S9 Plus were underwhelming, but we’re expecting a huge change from the South Korean cooperation and all upcoming Galaxy S10 models. It’s10th anniversary for the Galaxy S series, so we can expect big things. The latest Samsung flagships will compete with three 2018 iPhones, the powerful Pixel 3 from Google, and other the latest flagships from Chinese OEM manufacturers. After you know a few of the basics, here are the latest details about the upcoming Galaxy S10 to get you excited. Samsung has already confirmed its Galaxy S10 launch event will be held at Samsung Unpacked on February 20th. First, the release date of the Galaxy S10 devices is March 8th, and a Galaxy S10 pre-order and reservation system is now available. You can sign up from today to get $50 in free accessories credit, and up to $550 offer if you decide to trade-in your current phone. Furthermore, two days ago, on February 11th, there were leaks about the Galaxy S10E, S10 and the bigger S10+ from the famous leakster, Evan Blass. He shared official photos in a high-resolution, without watermarks on his Tweet. 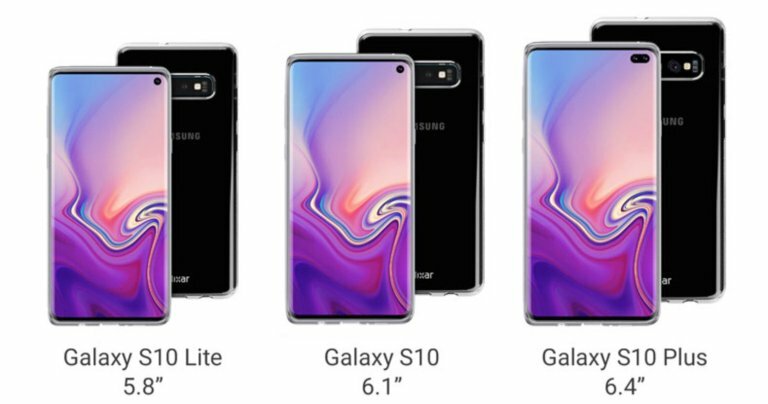 As the image above, you can the smallest Galaxy, the S10E, along with two bigger models. According to a new leak from Twitter, the bigger S10+ will have different variants, as well as storage sizes, and there is one extremely premium. Ice Universe claimed on a tweet that Samsung would release a 12GB RAM model along with 1TB of internal storage, which is insane. All the new models will have a scratch and shatter-resistant ceramic back instead of glass like the predecessor, Galaxy S9. 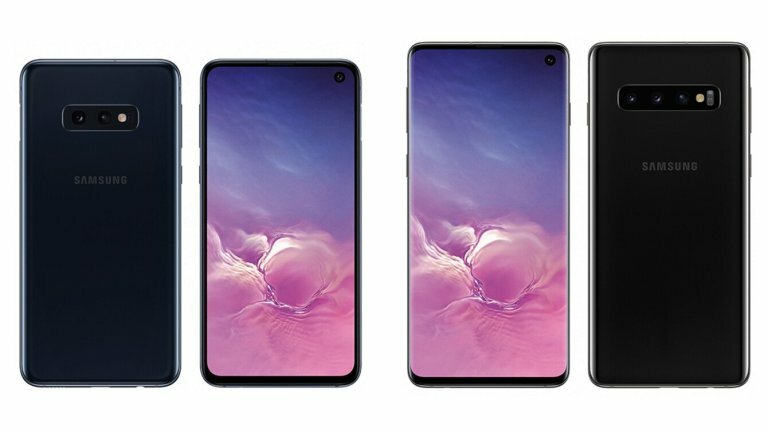 However, most Galaxy S10+ versions sold in the United States will have glass on the back and are equipped 128, 256 or 512GB storage options along with 8,10GB of RAM. Here’s everything else you should know before the official Galaxy S10 release. The Galaxy S10, S10 Plus will be the most powerful, fastest Samsung phones released in 2019. Instead of copying the notch trending, Samsung will still remain its Infinity display on its upcoming flagships. But, there will be a lightly change when you can see the appearance of a tiny cutout in the screen to house the front camera, which Samsung calls Infinity O display. This year, Samsung is going to release an affordable flat-screen Galaxy S10 Lite for those who don’t like the curved screen, and two Galaxy S10 models similar to what everyone is expecting to. One or two months later, the company will introduce a special 6.7-inch 5G Galaxy S10 X version. According to leaked images, the bigger Galaxy S10+ will feature a curved 6.4-inch Quad AMOLED screen, with a 4,000mAh battery, and a unique triple camera system on the back. Here are potential specs for the upcoming Galaxy phones, which you can purchase in the first week or so of March. Triple Main Cameras: 12MP regular f/1.5 variable aperture /2.4 telephoto, 12MP, 16MP super wide-angle that support dual OIS, 960 FPS slo-mo, 4K recording and more. 3000 mAh, 3500 mAh and 4000 mAh (S10+) batteries with Fast Charging, Wireless Charging 2.0 and especially Reverse Wireless Charging. With three different models of Galaxy S10 being released, Samsung is absolutely thinking about pricing strategy. Considering the flat sales in 2019, we’re sure the company wants to compete with iPhone XR or other Chinese phones. The cheapest Galaxy S10 Lite might be roughly at $649 to compete with the iPhone XR. While the other Galaxy S10 models will be slightly higher than previous years, undercut the Apple iPhone XS and XS Max. That said, $899 is still more comfortable if you compare the S10+ to the prices of Note 9 and iPhone XS Max, which cost $1000. Unfortunately, recent rumors suggest these phones can be extremely expensive, when the regular Galaxy S10 might be at $1,000. Currently, the biggest question is “When can you purchase the Galaxy S10?”. If rumors are true, the Galaxy S10 will be released on March 8-9th. For those who still don’t know, Samsung will hold an Unpacked 2019 event on February 20th in California, which is earlier than previous years. Since it’s a 10th-anniversary event, so we might the appearance of the curved and flexible Galaxy X at the end of the event.